I've been thinking a lot about thumbs lately. Why, you might wonder? Simple: Whenever I watch unsuspecting strangers use their phones in public (it's not as creepy as it sounds, I swear), I can't help but notice how many people rely solely on their thumbs for on-screen typing. Me? I've never been a two-thumb typing man myself. I'm also not a full-time swiper, which is another common type of mobile tech typist you see in the wild these days. More than anything, what I've learned by observing other people's smartphone-using habits is that there is no universal "right" way to type on a smartphone. There are several distinct styles, and what's most natural for one person is gonna feel impossibly awkward to the next. Like so many things, it ultimately boils down to personal preference. No matter how you like to type, though, one universal truth applies: You can save time and make text input easier by learning all the shortcuts your on-screen keyboard has to offer. 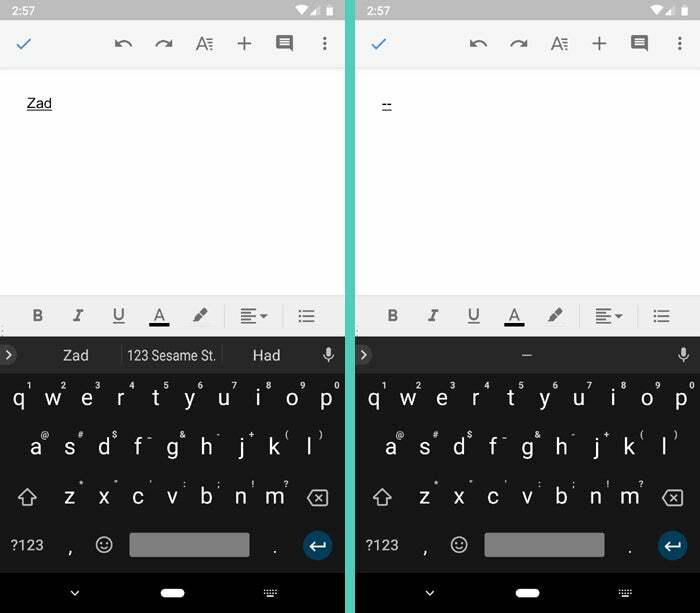 And if you're using Google's excellent Gboard — the default "stock" keyboard for Android — there's no shortage of useful possibilities lurking quietly beneath the surface. In addition to advanced features like in-keyboard internet searching and on-the-fly language translation (tap the greater-than symbol or the Google icon in the keyboard's upper-left corner if you haven't yet found that stuff), Gboard has a handful of hidden time-saving shortcuts. And whether you're typically a tapper, a swiper, a two-thumb pecker, or anything in between, they can go a long way toward making your mobile typing more efficient. Ever find yourself in the midst of typing an email or message and then realize you need to add or change something several characters back? We've all been there — and trying to get that tiny on-screen cursor exactly where you want it can drive even the most patient person positively batty. Gboard has an answer: Just touch your finger to the space bar, and — without lifting it up — slide it to the left or right. That'll move your cursor accordingly and let you place it wherever it's needed. And a bonus tip: If you want even more precise cursor control, tap the greater-than symbol or the Google icon in Gboard's upper-left corner and then tap the "I" in the center of the top-bar menu (or if you don't see an "I" there, tap the three-dot menu icon in that same top-bar menu, find the item labeled "Text Editing," and then drag it into the menu bar). That'll give you a series of arrows for positioning the cursor and also selecting, copying, and pasting text with precision. On the surface, Gboard seems to make it slightly difficult to get to special characters like the underscore or the asterisk — but there's actually a super-simple way to find and access practically every number or symbol you could ever need. All you've gotta do is touch your finger to the "?123" key and then slide it upward across the keyboard. You'll see a screen full of numbers and special characters instantly appear, and you can then just swipe your finger (without lifting) to the one you want. 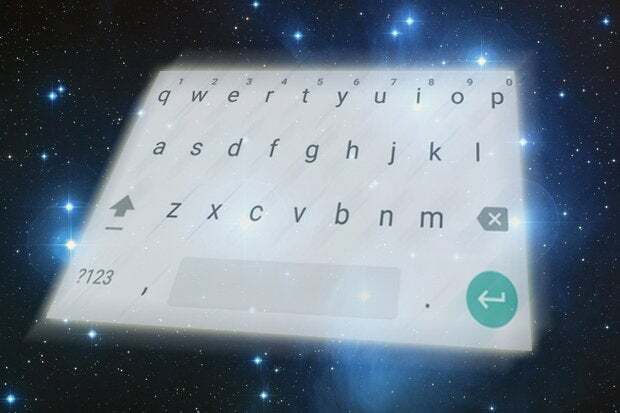 Once you let go, that character will be inserted into your text, and the keyboard will go back to its regular QWERTY panel. Some of the symbols — like the parentheses, for instance — have even more special characters embedded within them. You'll see an ellipsis (...) at the bottom of their keys when you slide over them, and if you keep your finger in place for a second or so, you'll see a selection of additional related characters pop up for your sliding-selection pleasure. Bonus tip: You can make Gboard display all of the basic special characters within its main keyboard interface, too — in the corner of each letter — so you'll know exactly where to swipe before you begin. That'll also give you the option of long-pressing any letter to pull up the associated symbol. To enable that feature, tap the greater-than symbol or the Google icon in Gboard's upper-left corner and then tap the gear-shaped settings icon in the top-bar menu (or if you don't see a gear-shaped settings icon, tap the three-dot menu icon first and then find the settings icon). Select "Preferences," then scroll all the way down and activate the toggle next to "Long-press for symbols." Now all those crazy characters are right at your fingertips, whenever and however you want 'em. Whether you're typing out an acronym or just feeling especially shouty, there are bound to be times when you want to capitalize a letter beyond the first character of a sentence. And sure enough, Gboard has a hidden shortcut that makes that easy to do: Touch your finger to the caps-lock key (the up-facing arrow to the left of the "z") — and instead of letting go, keep your finger down and swipe over to whatever letter you want. That letter will come through capitalized, and the keyboard will then automatically switch back to lowercase when you let go. Look, we all make mistakes (yes, even yours turly). With Gboard, you can erase an error — or maybe just something your better judgment tells you not to say — with the swipe of a finger. First, head back into Gboard's settings, look under "Glide typing," and make sure "Enable gesture delete" is activated. Now, when you want to erase a word or multiple words, touch your finger to the backspace key (the key to the right of "m") and immediately slide it toward the left. The farther you slide it, the more words that'll be highlighted and selected. If you select too much, no worries: Just slide that fantastic fingy of yours back toward the right a nib. When you're ready, simply lift up your finger — and say "hocus pocus" for good measure, if you're feeling merry — and whoosh: Your unwanted words will be gone like the wind. The key here, by the way, is to do a long-slide gesture — sliding and holding your finger down, in other words, as you can see in the image above. For ages, I couldn't get this one to work consistently because my gut instinct was to flick my finger to the left. And take my word for it: Doing that won't accomplish anything other than making you feel like a nit. Being able to erase lots of words at once is an awesome power to wield — and like any awesome power, it's all too easy to misuse on occasion. If you ever erase a large chunk of text (using the shortcut we just discussed) and then realize you deleted more than you wanted, don't worry: There's a simple way to get your words back. After you've obliterated a series of letters using Gboard's slide-to-erase shortcut, look in the suggestion bar directly above the keyboard. Everything you erased will appear there — but only briefly, until you start to type something else. Say it with me now: If I erase by mistake, I'll look above the keyboard quickly and then tap the text to restore it. Ahh — future crises averted. 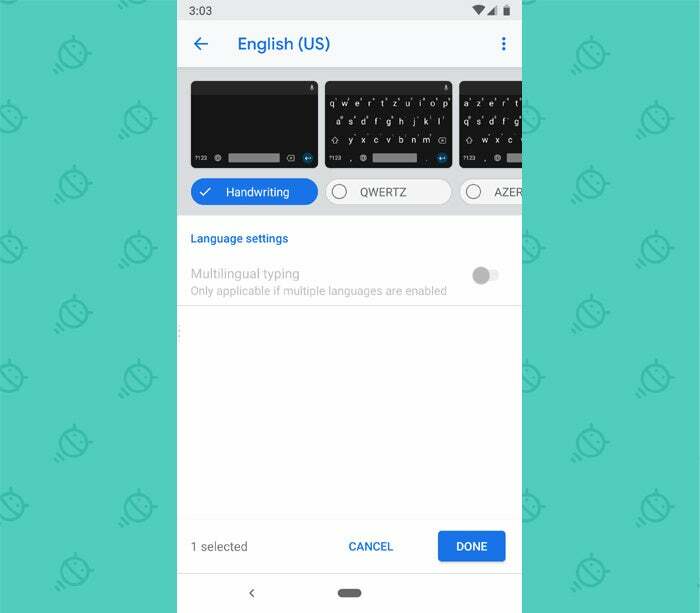 Swipe-based typing can be a real time-saver — but no matter how good a keyboard is at interpreting your swipes, it's occasionally gonna get a word wrong. The next time that happens, remember this: Gboard has a hidden command for quickly removing inaccurately interpreted words in its gesture typing system. When you're swiping and a word appears that isn't what you actually wanted, tap Gboard's backspace key once. That'll erase the entire word in one fell swoop, and then you can swipe it out again (or maybe just manually peck it in) to get it right. Speaking of machine intelligence sometimes missing the mark, Gboard's next-word predictions — y'know, those words that show up in the suggestion bar atop the keyboard and try to guess what you wanna say next — aren't infallible. In fact, sometimes, they're outrageously off the mark. If Gboard predicts something you would never say and don't want to see suggested again — maybe even something that you typed by mistake in the past and inadvertently saved into the app's robot-brain knowledge — you can keep the keyboard from ever offering it up again with a simple hidden shortcut: Press and hold the word within the suggestion bar. That'll cause a trash can icon to appear above the keyboard, and all you've gotta do is drag your finger up to that trash can and let go to send the word away for good. One of Gboard's distinguishing features is its ability to let you search Google for anything from right within the keyboard, without ever having to switch apps or stop what you're doing. By default, in order to get to that search function, you have to tap the greater-than symbol in the keyboard's upper-left corner and then tap the search icon that shows up alongside it. But guess what? You can slice those steps in half and make search a single tap away — without any real drawbacks or downsides. Skip your way back into Gboard's settings, tap "Search," and then activate the toggle next to the "Show 'Search and more' button" option. Head back out of the settings, and the next time you open your keyboard, you'll see a spiffy Google logo in place of the greater-than symbol in that left-corner spot. (Now you see what I've been talking about with those two different setups!) You can tap the logo once to immediately start searching, right then and there — and if you want to access any of Gboard's other advanced options, they'll all still appear alongside the logo in that top bar, right where they were before. By default, Gboard automatically inserts a period followed by a space anytime you press the spacebar twice — but you know what it doesn't do? The keyboard doesn't automatically insert a space when you put in your own punctuation. That means if you type a period, a question mark, or any other lovely sentence-ending symbol, you have to then hit the spacebar on your own in order to have that proper formatting appear. And if there's one spectacular way to save yourself time, it's by plucking cumbersome little steps like that out of your life. Well, fear not, for Gboard has just the plucking way to do it: Within the "Text correction" area of the app's settings, look for an unassuming option called "Autospace after punctuation." It's described as being in beta at the moment, somewhat oddly, but it works consistently well in my experience. Tap it to activate it, then save yourself the effort of having to manually hit that spacebar every time you type a punctuation mark. We've all got those stock phrases we use over and over and over and over. And over. (For me, the phrase in question is clearly "and over.") Well, wouldn't ya know it, Gboard can save you time by storing your favorite phrases and then pulling 'em up on demand — whenever you enter a predefined shortcode. For instance, you might set it so that typing zgot pulls up the phrase "Got it. Thanks. Will look at this soon." — or so that typing zad pulls up your complete mailing address. You could even set two hyphens (--) to pull up the nicely formatted em dash (—) or the letters tm to pull up the superscript ™. Nifty, no? For ages, this feature didn't work properly on Gboard — but at some point, the good ol' gang from Google got around to fixin' it. 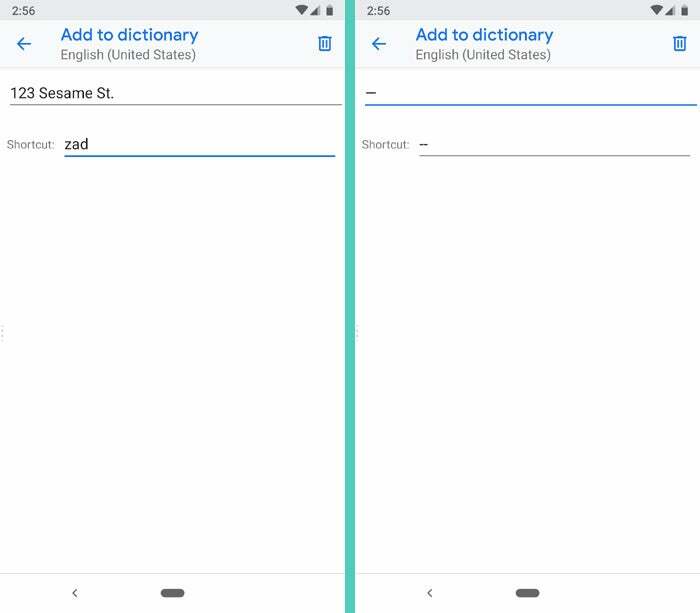 So give it a whirl: First, open up Gboard's settings, tap "Dictionary," then tap "Personal dictionary" followed by your language of choice (e.g. "English (United States)," "English (Canada)," "Parseltongue (Hogwarts)," etc). Next, tap the plus sign in the upper-right corner. Then, in the first field that appears, type in the word or phrase you want Gboard to remember. In the second field, type in the shortcode you want to pull it up. Be sure to come up with something that's relatively short, easy to remember, and not incredibly common in day-to-day use (so you don't trigger it inadvertently, whilst typing ordinary things). 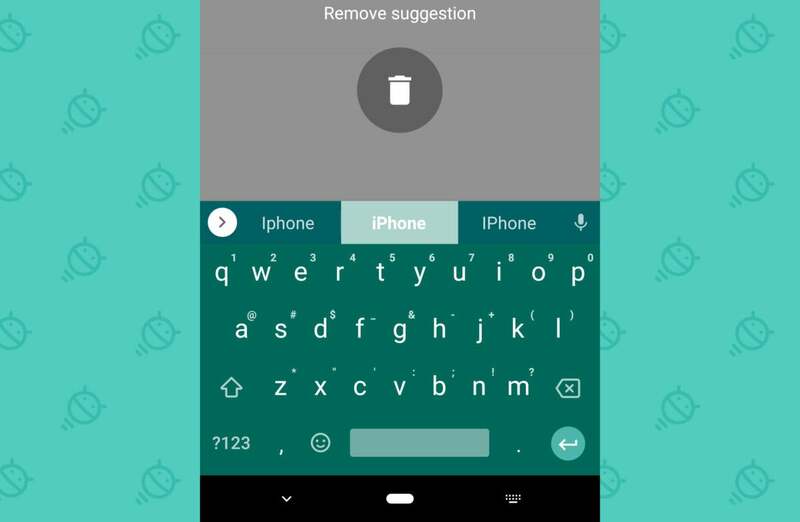 And that's it: Whenever you type in the shortcode you created, your saved word or phrase will appear as the centermost suggestion in Gboard's top bar. All you've gotta do is tap it, then take a moment to marvel at the seconds you've saved. Just don't marvel for too long, you silly gibbon, or you'll lose out on all that picked-up time. Maybe on-screen typing isn't your thing. Maybe you'd rather write with your favorite appendage — or, who knows, maybe even a stylus. Whatever the case may be, Gboard's got your back (and also your finger). Open up Gboard's settings again and this time, select "Languages." Tap your preferred language, and you should see a list of options appear — including one called "Handwriting." Make sure it's selected, then hit the "Done" button at the bottom of the screen and back your way out of the settings. The spacebar on your on-screen keyboard should now show the name of your default language, and when you press and hold it, you'll be able to switch between your regular keyboard and Gboard's handwriting mode. 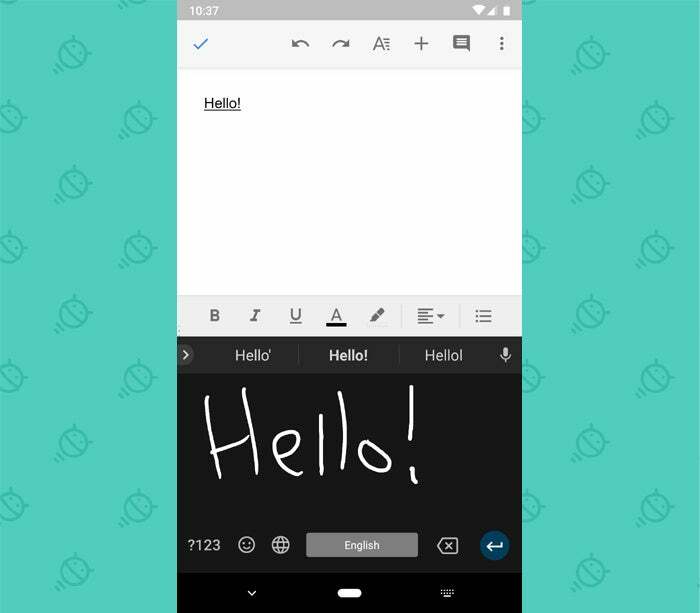 Open up the handwriting interface and scribble away in the open space, and your letters will be converted into regular text as you go. Even if you've tried the handwriting mode in the past, it might be worth trying again: Just this month, Google announced it had improved the brains behind the system and made its character recognition both faster and 20 to 40 percent more accurate. Of course, if your handwriting is as bad as mine, you might still end up with an awful lot of garbled gibberish. But hey, different strokes for different folks, right? Got a big ol' phone? With plus-sized devices in particular, shifting your on-screen keyboard into a one-handed floating mode can make text input infinitely easier in certain situations. But you might not always want to have your keyboard sized down and docked to one side of the screen. So try this: If you want your Gboard keyboard to shift over to the left side of the screen, press and hold the comma key and then slide your finger slightly to the right to select the icon that looks like a hand on a box. Let go, and bam: Your keyboard will be shrunken down and docked on the left. If you want it to go to the right side, press and hold the enter key for a second and then let go. And by golly, wouldya look at that? Either way you do it, you can get the keyboard back to its normal size and standard position by tapping the top icon in the sidebar area — the one that shows four arrows pointing toward the corners of the screen. You can also quickly flip the keyboard from one side of the screen to the other by hitting the left- or right-facing arrow in that same area, and if you want to move the keyboard to a specific area of your display — slightly more to the left or right or even higher up on the screen — tap the icon that shows an arrow within a pair of boxes. That'll let you manually adjust the keyboard and position it anywhere you want. Hey! You! Wanna talk fractions without wasting your time? Of course you do! Well, have I got good news for you: Finding fancily formatted fractions on Gboard is actually easy as can be, provided you know the secret. Here it is: Simply long-press any number in Gboard. That'll cause a pop-up to appear with a list of common fractions involving the figure. And one more bonus: This shortcut will work by first tapping the "?123" key and then long-pressing a number — or by using the swipe-to-get-a-number trick explained in hidden shortcut #2, above. In the latter case, just touch and hold the "?123" key and slide your finger to whatever number you want. Let your finger rest on that number for a second or so, and any available fractions will automatically appear. Lemme tell ya: With shortcuts like these, it's never been easier to see the glass ½ full.